Prepare for lazy lunches or evening cocktails with the St Mawes Bar Set. 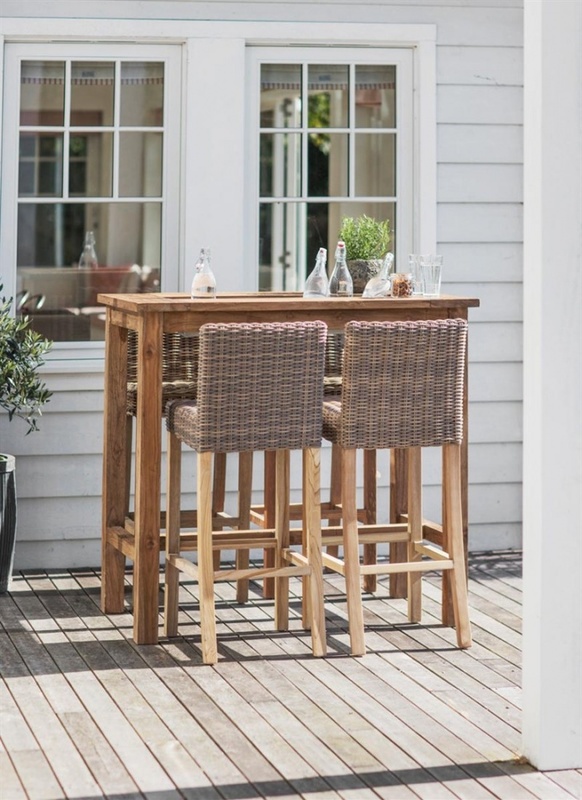 Comprising the St Mawes Drinks Planter Bar Table and four Lymington Bar Stools, the set is perfect for gardens of all sizes. Place in that empty spot on the patio, decking or courtyard ready for the summer months. 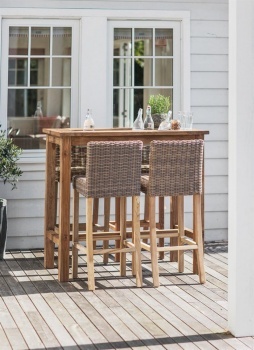 Crafted from Reclaimed Teak the Table is rustic in appearance with each piece being carefully selected by hand. In the centre sits a Galvanised Metal trough which can be filled to the brim with ice to keep your favourite drinks chilled all afternoon.